Yarra Energy Foundation (YEF) required a look and feel for their inaugural Proud to be Yarra Festival celebrating sustainable living in the City of Yarra. The festival was launched at the Abbotsford Convent on Sunday 22nd February 2015. The festival identity represents YEF's vision for a vibrant zero carbon community and promotes the fun and excitement of the event. 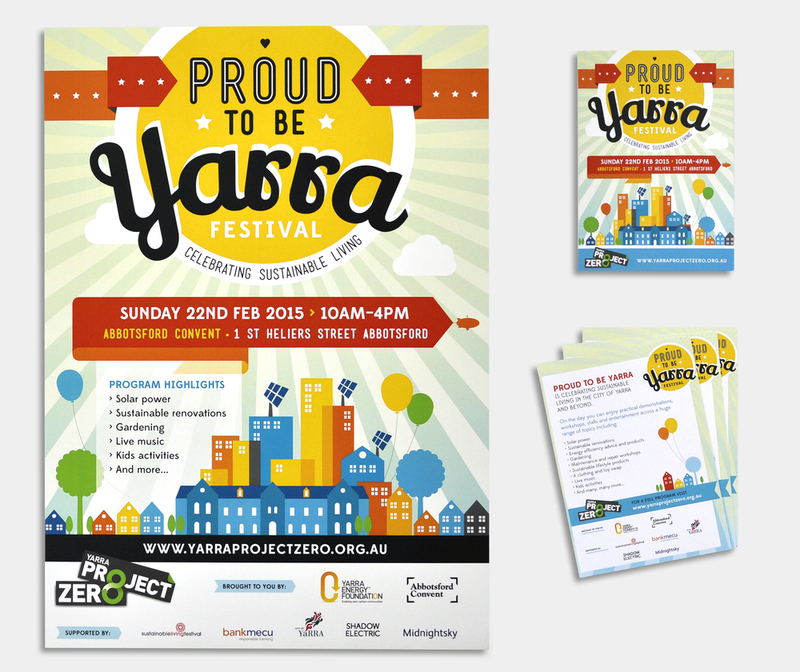 Design: Festival identity, social media graphics, posters, flyers, real estate banners, .